At Hotel Trinidad Prague Castle historic and new-millennium amenities are fused together to create a subtle balance of old-world charm and modern bits. Built in a historic Art Nouveau building from the end of the 19th century the hotel is located in the street “U Zelezne Lavky” by Manesuv Bridge over the river Vltava, the hotel offers luxury accommodation in the center of Prague under the Castle in Mala Strana district, a few steps from Malostranska metro station. On the other side of the bridge is the Old Town, where you can find the famous building of the Rudolfinum which houses the concert hall of the Czech Philharmonic. 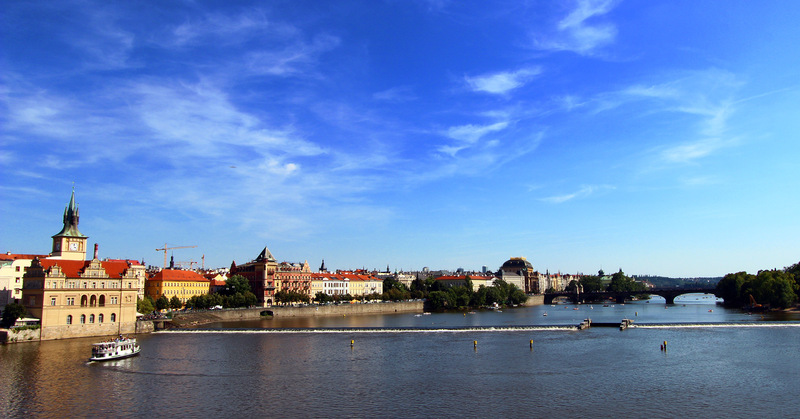 The Prague Castle, Charles Bridge, the Jewish Quarter, and the Old Town Square are within walking distance of 5-10 minutes from the residence. 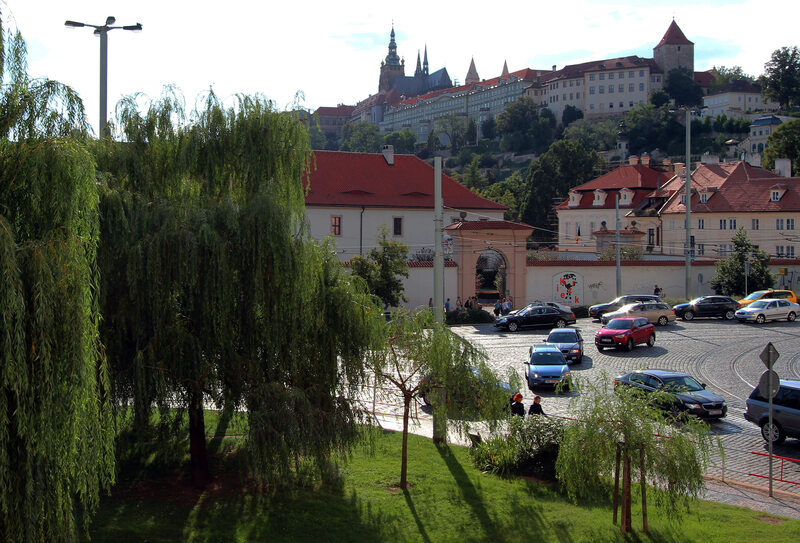 The nearest subway station – Malostranska (line A) is only 120 metres – 2 minutes on foot from the hotel. 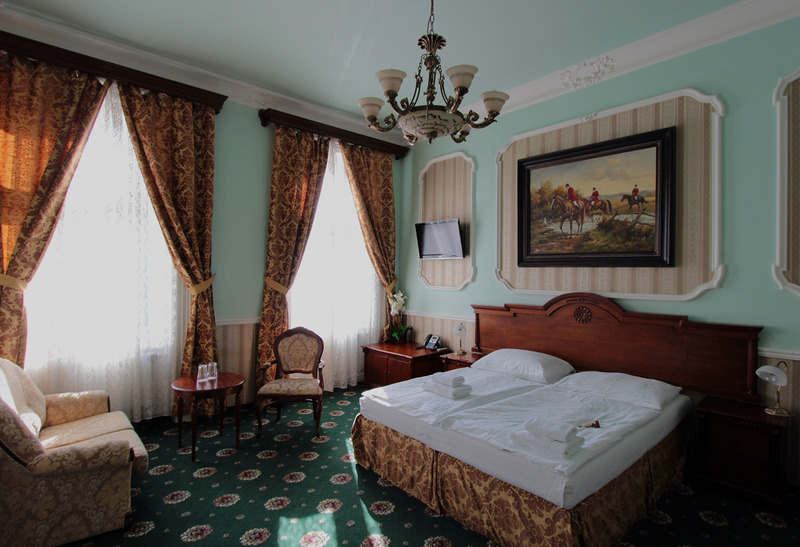 There’s no doubt about it; this 4-star hotel, hosted in a splendid historic building, features lovely views over Prague Castle and elegant rooms and apartments. The convenient site and charming atmosphere, combined with all the comforts one may need, will make for an unforgettable stay in Prague. 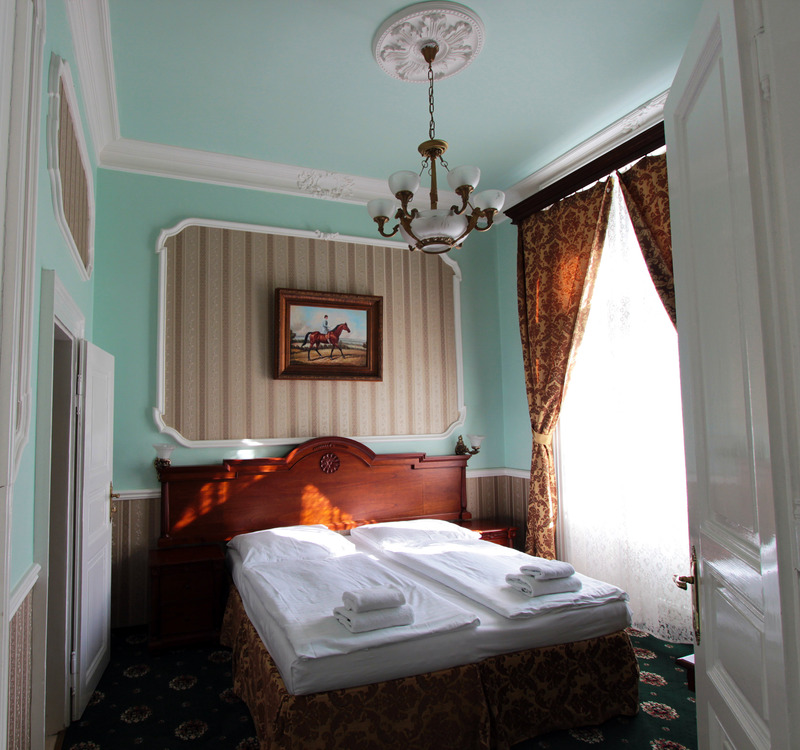 The residence offers in total 17 double rooms and 2 suites for 2-4 persons. Each room has of course its own bathroom with hair dryer, bidet and toilet. All rooms are equipped with TV SAT set, telephone, safe, coffee/tea making facilities and refrigerator. 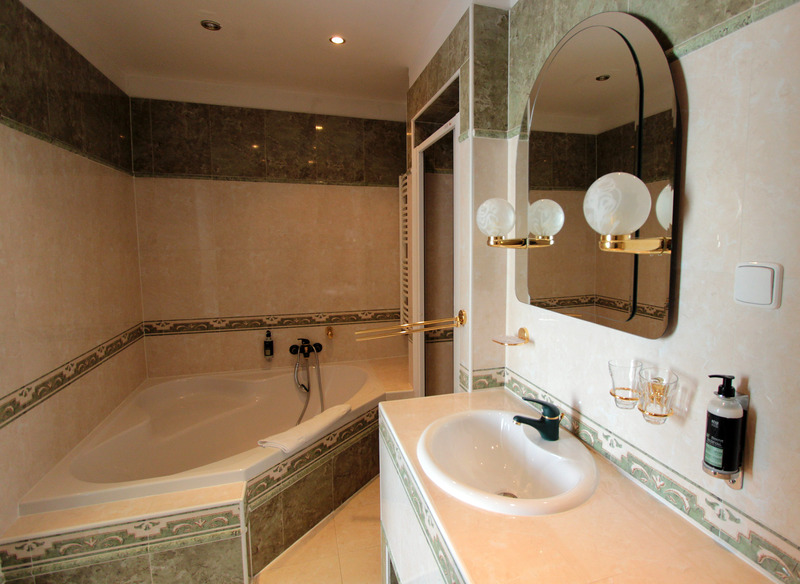 The majority of rooms have a large bathroom with a large corner bath tub. Hotel Trinidad Prague Castle has a cocktail bar and a restaurant which are in the basement of the building. The restaurant serves international cuisine indoors, and guests can dine on the terrace during the summer. A rich buffet breakfast is available every morning and it’s included in the rate. During the summer months, you can enjoy your meal on the terrace adherent to the restaurant. Offering exceptional service and cosy accommodation, the Hotel Trinidad Prague Castle is a perfect place for an entrancing experience. Special thanks to the team at Hotel Trinidad Prague Castle for the apartment accommodation during my stay. This is a gorgeous looking room. Hopefully I will visit this coming year and will definitely look into staying here. Oh Mike, thank you! This is a city everyone must experience in their lifetime. It’s absolutely stunning, fun, you name it. Top travel destination for sure!